This is the second of three articles on the Warren Report by Leo Sauvage, chief U.S. correspondent for the French daily, Le Figaro, and author of the book L’Affaire Oswald, published in Paris by Editions de Minuit. The first of these articles, “The Warren Commission’s Case Against Oswald” (NL, November 22), examined in detail the proofs of Oswald’s guilt cited by the Commission, and finding them unconvincing, concluded: “How, under these circumstances, can the Warren Commission unhesitatingly assert that ‘Lee Harvey Oswald was the assassin of President Kennedy’?” Here Sauvage questions the Commission’s methods. Since the Warren Commission was not a court, it was of course not legally required to adhere to the principle of cross-examination. But the Executive Order appointing the Commission expressly permitted it “to prescribe its own procedures.” How could “a fact-finding agency committed to the ascertainment of the truth” (as the Warren Commission defines itself in the Foreword to the Report) deliberately deprive itself of such an instrument? Is it because “the real task of the Warren Commission was not to find the truth but to appear to have found the truth to the satisfaction of the largest number of people here and abroad”? That is Freese’s suggestion (the italics are his) in the NYU Law Review, although he does not feel this is any reason to doubt the Commission’s conclusions. In an official release distributed throughout the world by the U.S. Information Service, Warren was quoted as giving “the assurance” that the hearing would be conducted “as nearly like a judicial proceeding as possible, in decorum and for protection of the rights of witnesses.” It never occurred to anyone then—including myself, I admit—that this “assurance” by the Chief Justice should be read primarily in terms of what it had omitted. Though it spoke of the “protection of the rights of witnesses,” the statement did not mention the rights of the accused. Events were to show that the omission was intentional. On January 14, 1964, Mrs. Marguerite Oswald announced in Fort Worth, Texas, that she was assigning Mark Lane, a New York lawyer, to represent her son’s interests before the Commission. Whatever one may think of Lane (or of Mrs. Oswald, for that matter), he was the only qualified representative of Lee Harvey Oswald (his widow, Marina, had become the principal witness for the prosecution). But when Lane informed the Commission that he had been retained by Oswald’s mother, he received the following response from its General Counsel, J. Lee Rankin: “The Commission does not believe that it would be useful or desirable to permit an attorney representing Lee Harvey Oswald to have access to the investigative materials within the possession of the Commission or to participate in any hearings to be conducted by the Commission.” This disturbing reply was made public by Lane on February 25, 1964, and has not to my knowledge been denied by Rankin. Louis Nizer, the renowned lawyer, saw in this passage “an exquisite blend of thorough probing and preservation of the rights of the individual (including even the reputation of the accused slayer) in accordance with the great traditions of Anglo-American jurisprudence”; I see in it an unconscious revelation of the total incoherence of the Commission’s basic concepts. To begin with, by discovering three weeks after the hearings started the necessity for “fairness to the alleged assassin and his family,” the Commission completely undermined its contention that Oswald was not being prosecuted and therefore had no need of defense. And in describing effusively the various functions of Craig, the Commission showed that it was well aware of the fact that there can be no “fairness” without cross-examination of witnesses, and without opposition scrutiny of all the evidence. To the extent that this passage in the Foreword of the Report represents a commitment of the Commission, it is a repudiation of the earlier declarations of Warren and Rankin. The fact that the commitment was never fulfilled, however, leads to the conclusion that what Nizer considers an “exquisite blend” of justice was merely a public pose. Whether or not “this procedure was agreeable to counsel for Oswald’s widow” (One would think so!” Nizer says without a trace of irony), the simple mention of her was an insult to the public. At the very least the conditions under which Oswald’s widow was endowed with a “counsel” (while she was incommunicado and in the “protective custody” of the secret Service) left much to be desired. 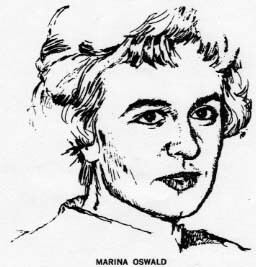 And by no stretch of the imagination could Marina Oswald seriously be considered a representative of the moral interests of Lee Harvey Oswald. 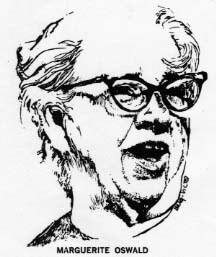 Macdonald thus joins Murray Kempton who, in the New Republic of October 10, 1964, denounced the Warren Report as a “case for the prosecution,” yet concluded that the Prosecution’s “immense” statement was also “almost indisputable.” According to Kempton, the Report “drastically narrowed the area of doubt,” and “what doubts remain turn out to be less about Oswald’s guilt than about the method of his judges.” Kempton is aware that the Report seeks to “elevate the implausible to the probable,” and he adds, “that is the kind of thing we expect, not from judges but from prosecutors of the better sort.” But if he regrets the absence of defense counsel (“it is to test such cases that we have an adversary system of criminal justice”), he does not believe that the validity of the evidence is thereby weakened. This is undoubtedly because, while reproaching the Commission for having played the role of prosecutor, he is convinced that it was a prosecutor “of the better sort,” or again, as he writes a few lines further on, “a highly responsible prosecutor.” The sad truth is that the Warren Commission employed methods that are rarely used by even a moderately responsible prosecutor. In fact, a moderately responsible prosecutor would hardly have dared to rely on the witnesses the Commission leans on, not only because most of them would not survive 10 minutes of cross-examination, but because the press, in any other case, would ridicule a prosecution based on their testimony. Having excluded all danger of cross-examination (and the American press having excluded itself), the Warren Commission offers us a parade of spurious “eye-witnesses” such as has not been seen in the free world since the Sacco-Vanzetti case. Some of these “eyewitnesses,” moreover, are made to figure in the Warren Report despite themselves: In several instances, Commission interrogators patiently extracted “identifications” that witnesses were reluctant to make; in some, the Report goes so far as to boldly use “identifications” that were not made. Let us compare, for example, page 176 of the Report and the photograph on page 164, “Commission Exhibit No. 1968.” The text reads as follows: “Two eyewitnesses who heard the shots and saw the shooting of Dallas Police Patrolman J. D. Tippit and seven eyewitnesses who saw the flight of the gunman with revolver in hand positively identified Lee Harvey Oswald as the man they saw fire the shots or flee from the scenes.” Two plus seven equals nine. The caption accompanying the photograph claims it shows the “location of eyewitnesses to the movements of Lee Harvey Oswald in the vicinity of the Tippit killing,” and printed on the photograph are their names—13 of them. Thus there are four “eyewitnesses” more in the photo than in the text. Where did they come from? Equally unconvincing are the “identifications” attributed to Barbara Jeanette Davis (“She was not sure whether she had seen his picture in a newspaper on the afternoon or evening of November 22 prior to the lineup”), and to William Scoggins (“He thought he had seen a picture of Oswald in the newspapers prior to the lineup identification on Saturday”). That leaves us with five down and four to go. One could scarcely ask the Dallas Police Department to find persons with similar marks to place in the lineup with Oswald, but at least these lineups should not have been allowed—whether intentionally or out of sheer incompetence—to aggravate the suspect’s handicap. “The Commission is satisfied that the lineups were conducted fairly,” the Report tells us. Yet a study of the Hearings, published 10 months later, shows that the conduct of the lineups was unfair. Types most unlike Oswald were chosen, including two teen-agers and a Mexican; they wore clothing distinguishing them from the suspect; detectives posing as suspects (but not warned they would have to answer questions) had to improvise names and occupations while Oswald himself, according to the police who were present, told the truth. The Report also tries to hide, through shrewd editing, certain damaging information received by the Commission during its inquiry that is described in the Hearings. Thus there was the incident of the Saturday night lineup. This lineup was ridiculous to begin with because by this time Oswald’s features were as well known as President Kennedy’s throughout the entire world, and certainly in Dallas. But that does not prevent the Commission from accepting the “identification” made at this lineup by William Scoggins, one of the two direct witnesses of Tippit’s murder. Cab-driver Whaley, who had taken Oswald to Oak Cliff on Friday and who attended the same lineup, said that “you could have picked him out without identifying him by just listening to him because he was bawling out the policemen, telling them it wasn’t right to put him in line with these teenagers and all of that….” What does the Report make of this? “Whaley’s memory of the lineup is inaccurate,” since he was mistaken about the number of people with Oswald (three, of which “only” two were 18 years old) and about Oswald’s position in the lineup (he was number three, not two). The implication, of course, is that Whaley was mistaken about Oswald’s behavior, just as he was wrong about where Oswald stood in the lineup, and that the “bawling out” of the policemen before witnesses never took place. In Volume VII of the Hearings, though, we find that the essential part of Whaley’s testimony—that Oswald made himself known at the lineup by arguing with the police—was confirmed by two detectives of Captain Fritz’ Homicide Bureau. I do not see how one can avoid the conclusion that the editors of the Report were intentionally misleading. To take only the “contemporaneous description of the gunman” (there is no point any longer in returning to the “positive identification” at a police lineup), the Report tells us that “her description and that of other eyewitnesses led to the police broadcast at 1:22 p.m. describing the slayer as ‘about 30, 5’8”, black hair, slender’ (518).” The number 518 refers to “Commission Exhibit 1974,” which appears in volume XXIII of the 26-volume set. One discovers that a comma, not a period, followed the word “slender,” and that the text of the broadcast continued in these terms: “…wearing a white jacket, white shirt and dark slacks.” In the Report, this part of the broadcast is not given until eight pages later, where there is no longer a question of Mrs. Markham’s “reliability,” and the first citation of it does not even include the usual three dots to indicate that it is not a complete quotation. Why this maneuver? Because the Commission officially confirmed what anyone could have determined from the picture distributed by the usis: At the time of his arrest, Oswald wore a dark brown, mottled sportshirt—as difficult to confuse with a white shirt as it is to confuse Helen Markham with a reliable witness. For the last there is an explanation: “She was referring to the uncombed state of his hair, a description fully supported by a photograph of Oswald taken at the time of his arrest.” I ask American readers to believe that it is very unpleasant for me to have to point out to the Commission, headed by the Chief Justice of the United States, that the “photograph of Oswald taken at the time of his arrest” shows the alleged killer after the scuffle at the Texas Theater, while Mrs. Markham’s description, according to her own “reliable” testimony, was of a man calmly walking on the sidewalk of Tenth Street. Certainly there is reason to wonder who could make the better case: the Warren Commission against Lee Harvey Oswald, or Lee Harvey Oswald against the Warren Commission.